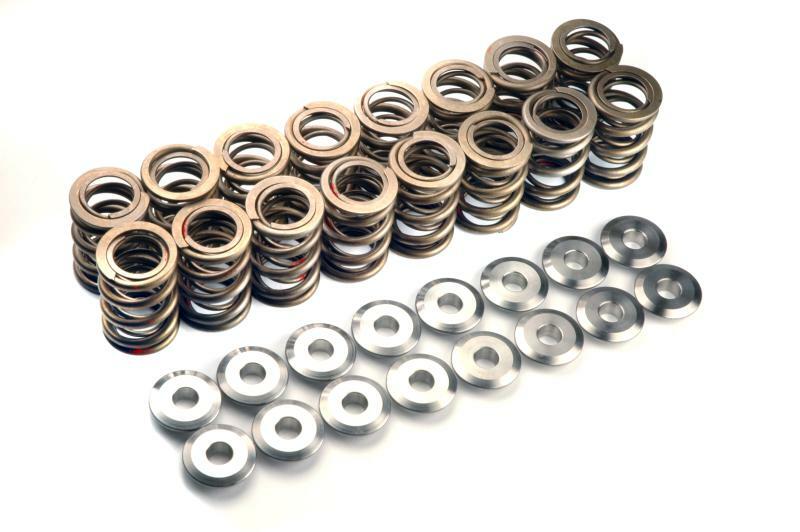 Cosworth Ultra Race Valve Spring Kits are engineered for use in situations that require valve control in extreme conditions. Each kit consists of dual valve springs with matched lightweight titanium retainers, keepers, and hardened steel springs seats. Cosworth Ultra Race Valve Springs are wound from the highest quality chrome silicone steel with chamfered ends and are heat treated and stress relieved for long term reliability. Ultra Race Valve Spring kits are compatible with Cosworth high performance valves.